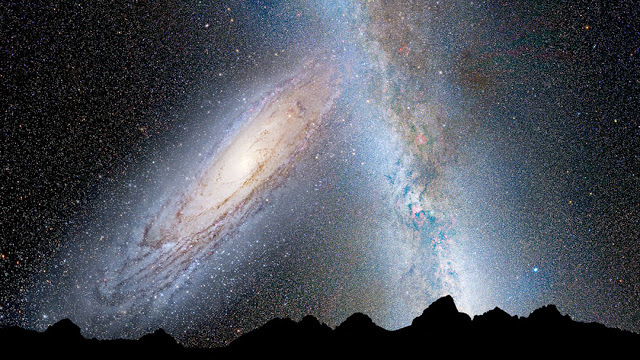 The Milky Way and Andromeda galaxy won’t collide for next 4 billion years. But a recent discovery of a massive halo of hot gas close to Andromeda Galaxy may mean that our galaxies are already touching. Astrophysicist Nicholas Lehner from University of Notre Dame, led a group of scientists using the Hubble Space Telescope to detect an enormous halo of hot, ionized gas about 2 million light years in diameter around the galaxy. The Great Andromeda Galaxy and Milky Way are the largest member of a ragtag group of some 54 galaxies, astronomers call them the Local Group. Andromeda, with almost a trillion stars — twice as many as the Milky Way — shines 25% brighter and can simply be seen with the naked eye from outlying and rural skies. Lehner defines halos as the “gaseous atmospheres of galaxies”. Regardless of its huge size, Andromeda’s nimbus is almost invisible. 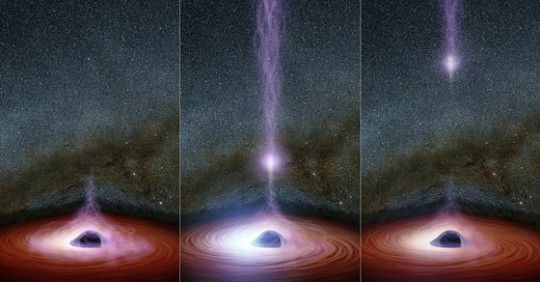 To observe and study the halo, the astronomer sought out quasars, distant star-like objects that emit incredible amounts of energy as matter is sucked into the supermassive black holes. 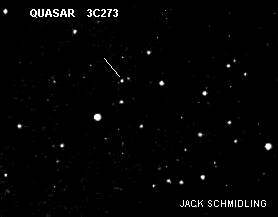 The brightest quasar, 3C273 in Virgo, can be easily observed with in a 6-inch telescope! Astronomers have studied halos around 44 other galaxies but they never discovered one as massive as Andromeda where so many quasars are accessible to clearly outline its extent. The previous 44 were all very distant galaxies, with only a lone quasar or data point to regulate halo size and structure. 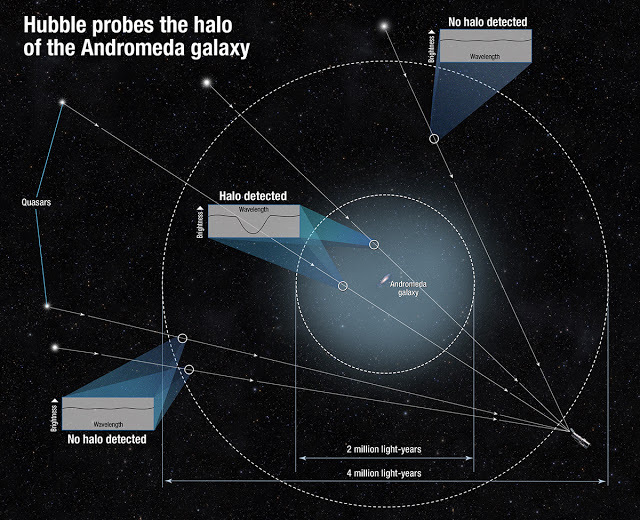 The halo is projected to comprise half the mass of the stars in the Andromeda galaxy itself, in the form of a hot, rambling gas. Simulations propose that it was formed at the same time as the rest of the Andromeda galaxy. Even though mostly composed of ionized hydrogen — bare protons and electrons — Andromeda’s aura is amazingly rich in heavier elements, possibly supplied by supernovae. They explode inside the visible galaxy and aggressively blow good stuff like iron, silicon, oxygen and other similar elements far into space. 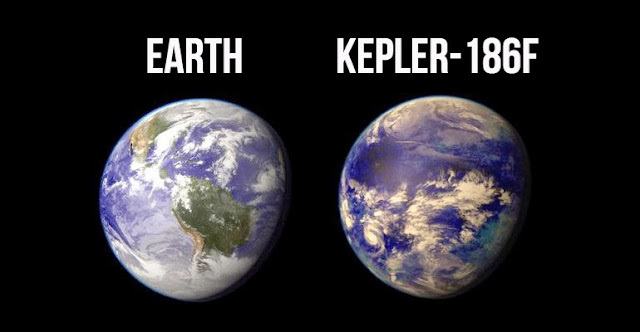 Previous researches have shown that over Andromeda’s lifetime, almost half of all the heavy elements assembled by its stars have been ejected far outside the galaxy’s 200,000-light-year-diameter stellar disk.